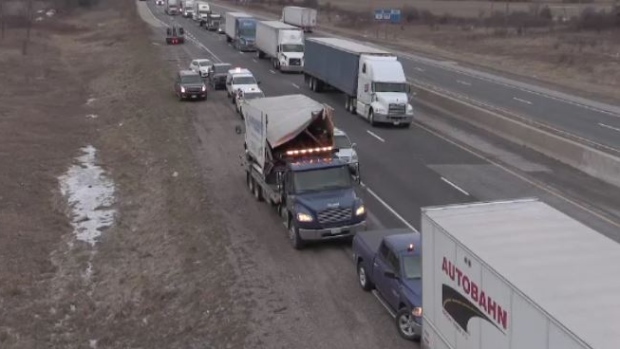 The westbound lanes of the 401 are open once again after a collision just west of the Highway 401/402 split. The collision reportedly involved a transport truck that collided with a cube van and flipped onto its side near Westminster Drive around 6 a.m. Friday. Witnesses say the cube van driver was attempting to turn around and get back to an exit after realizing the vehicle was almost out of fuel. 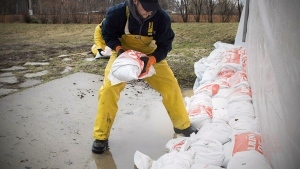 A hazmat team was called in over concerns of fuel spilling onto the highway but it appears to have been contained. 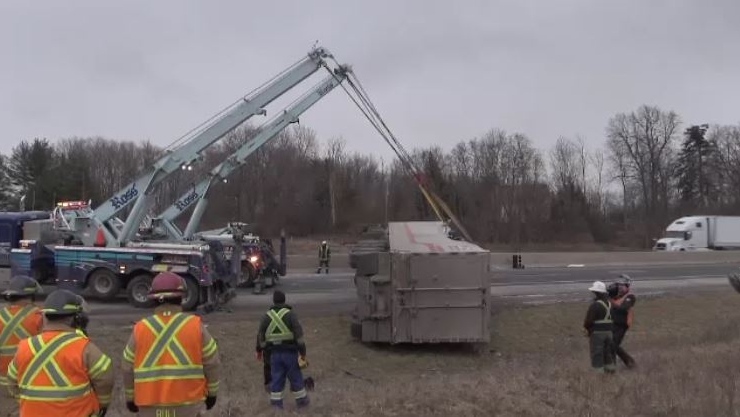 The westbound lanes were blocked for about four hours and traffic was being diverted at Highway 402 as heavy tow trucks worked to right the transport truck. Meanwhile, OPP were also dealing with collision on the 401 eastbound just before Currie Road in Dutton. 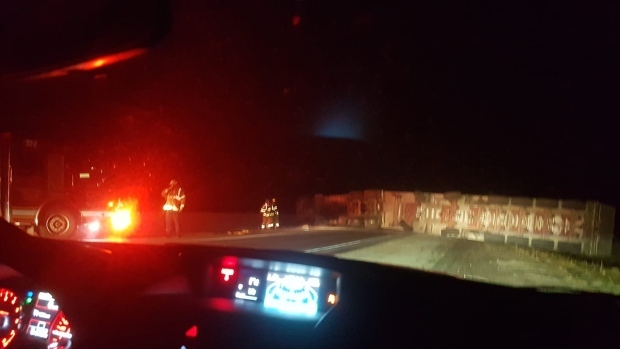 All lanes were blocked for several hours with traffic being diverted onto Graham Road after a transport ended up on its side in the south ditch of the highway. All the cargo in the trailer had to be unloaded before the truck could be removed, causing a long traffic back-up. No information on the cause of the crash or any injuries has been released.